Sudan and South Sudan signed an agreement Friday to soon withdraw their respective military forces from a demilitarized zone between the two African countries, officials from both nations said. Signed in Addis Ababa, Ethiopia, the deal was brokered by former South African President Thabo Mbeki. Defense ministers from both Sudan and South Sudan promised they'd implement the agreement later this month. [Updated at 3:36 p.m. ET] The South Sudanese armed forces admitted shooting down a United Nations helicopter in eastern South Sudan on Friday. The Sudan People's Liberation Army said it was an accident, according to spokesman Philip Aguer. Four crew members were killed, the United Nations Mission in South Sudan said. The group reported that there were no passengers on board. Aguer said that a craft was seen about 9 a.m. hovering near an SPLA command area. The army asked the U.N. mission whether it had sent a plane. "The U.N. said there is no plane, they don't have plane in the area," Aguer said. The fate of dozens of construction workers kidnapped in Sudan, including a group of Chinese nationals, remained unclear Tuesday amid conflicting reports on the situation. 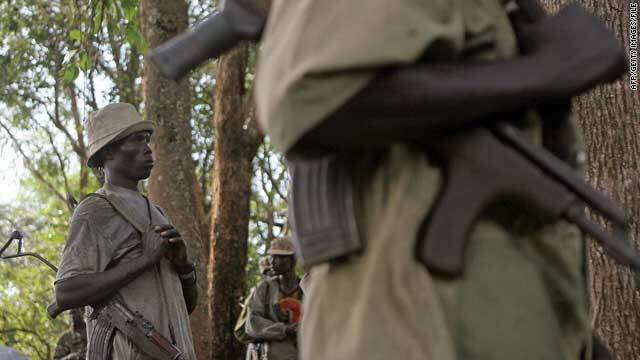 Militants captured 70 workers - a mix of local and foreign staff - in an attack Saturday on a construction site in a remote area of Sudan's volatile South Kordofan state, the Sudanese military said. The military said it was pursuing the kidnappers. The camp belonged to China's Power Construction Corp. - an example of the willingness of Chinese companies to push into unstable regions of the world in search of resources to help fuel the country's fast growing economy. The official Sudan News Agency reported Monday that the Sudanese army had freed at least 14 of the kidnapped Chinese nationals, citing Ahmed Haroun, the state governor. But that conflicted with information from Xinhua, the state-run Chinese news agency, which said later Monday that the 29 Chinese workers abducted by the rebels were still being held captive. The Sudanese army has freed 14 Chinese nationals who were kidnapped in the volatile South Kordofan state, the official Sudan News Agency said Monday. The news agency quoted Ahmed Haroun, the state governor, as saying the workers were taken to neighboring North Kordofan and were in good condition. The report did not mention the fate of the other 56 construction workers who militants had captured when they attacked a construction site in a remote area Saturday. At the time, Alsawarmi Khalid, spokesman for the Sudanese armed forces, blamed the attacks on the Sudan People's Liberation Movement -North, a rebel force in the border region with neighboring South Sudan. China confirmed the incident but did not say how many of its workers were among the group of 70 who had been taken. South Sudan became the world's newest nation last year after decades of conflict with the north. South Sudan is facing a "huge humanitarian crisis" that requires support from the international community, the United Nations' refugee chief said Sunday. The United Nations is deploying peacekeeping troops to the remote town of Pibor in South Sudan, saying it faces an imminent attack by thousands of fighters engaged in ethnic clashes in the war-torn region. Ethnic tensions in the South Sudan state of Jonglei have been inflamed by tribes fighting over grazing lands and water rights - disagreements that have dissolved into a number of cattle raids during which women and children were abducted. About 6,000 members of the Lou Nuer tribe are marching on Pibor, home to the Murle tribe, said Lise Grande, the U.N. deputy humanitarian coordinator for South Sudan. An advance group of about 500 fighters have taken up positions outside the town, she said Friday. "We deemed that there was a very serious risk to civilians (and) in support of the government of South Sudan's primary responsibility to protect civilians, we have gone ahead and deployed a battalion-size force in Pibor with the aim of deterring violence and helping the government to protect its own people," she said. The deployment of peacekeeping troops follows reports earlier this week that Lou Nuer fighters raided the own of Lukangol, burning it to the ground and forcing thousands to flee toward Pibor. "We are so alarmed by the situation that during the course of the afternoon we have reinforced our positions in Pibor," Grande said. A South Sudan rebel group warned the United Nations and residents to leave a remote border state within three days or risk coming under fire as it launches an attack on the local government. The South Sudan Liberation Army said Saturday it was headed to Warrap state after an earlier attack on Mayom town in neighboring Unity state. Both states are in South Sudan, near the border with Sudan. The goal is to "liberate" the state from the government in Juba, the group said in a statement. "Within few days, the people of Warrap will be liberated from abject poverty, corruption and abuse of human rights," the militia said. "We would also advise the civilians to evacuate all towns and move to villages in order to be safe," it said. The warning follows an attack in oil-rich Unity state that killed 39 people, a South Sudan government spokesman said Saturday. Liberation army militias carried out the attacks against civilians, spokesman Yein Matthew said. On his first visit to Khartoum since his fledgling nation declared independence, South Sudanese President Salva Kiir agreed with his Sudanese counterpart to hold talks to "reach final solutions" to address continuing differences between their countries. "My government is ready to discuss and reach final solutions on all outstanding issues - mainly the economy, security, borders and Abyei status," Kiir told reporters Sunday. "We shall work on all these outstanding issues and make sure we sign a final agreement on all of them as soon as possible." After years of violent strife and a January referendum paving the way for a new state, South Sudan separated from Sudan in July. The United States recognizes South Sudan as a sovereign and independent state, U.S. President Barack Obama said Saturday. "After so much struggle by the people of South Sudan, the United States of America welcomes the birth of a new nation," Obama said in a statement. "Today is a reminder that after the darkness of war, the light of a new dawn is possible. A proud flag flies over Juba and the map of the world has been redrawn."